It is not only homes that are flooded… businesses are flooded too. The statistics about the impact of flooding on businesses shows that many never recover. Being flooded literally puts them out of business. Tetleys Motor Services is a coach company based near the River Aire. They were flooded for the second time during Storm Desmond. Thankfully they have survived being flooded … and have shared their story with us and other business owners. 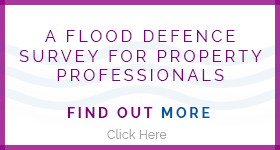 What action should you take today to protect your business from future flooding?